Just one word, it's grand ! A perfect Rajshree song which soared my expectation. My family and friends. Like...so much this song. Yeah.. She too was there.. 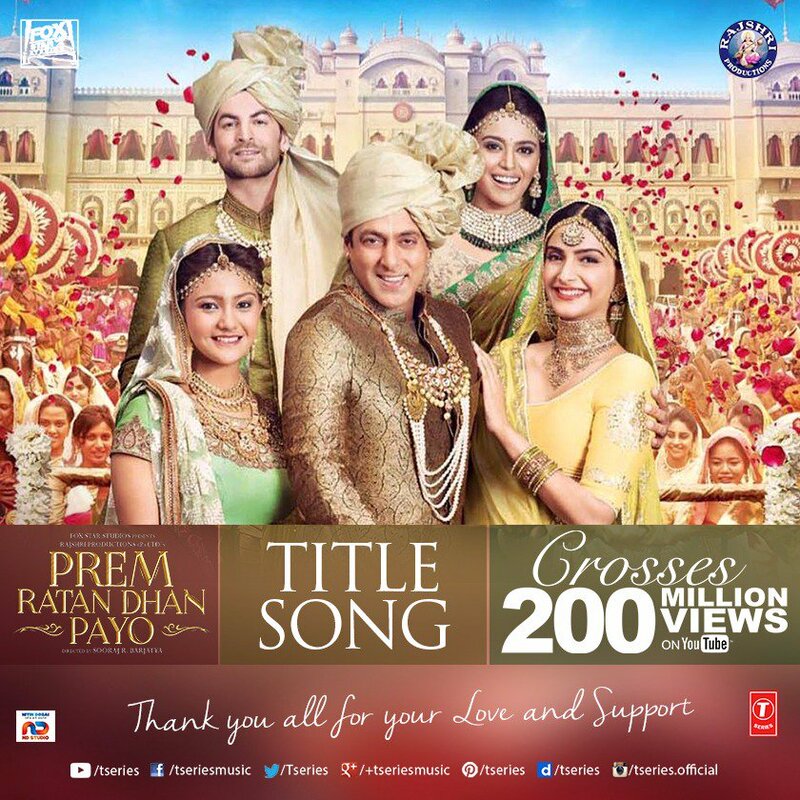 Exclusive Prem Ratan Dhan Payo Title Track Video Song... Simply Magical..